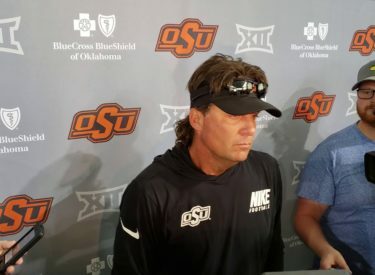 STILLWATER, Okla. (AP) – Mike Gundy wanted to see improvement on special teams. No. 15 Oklahoma State answered its coach’s call. The Cowboys blocked two punts, returning one for a touchdown, and made three field goals in a 44-21 win over then-No. 17 Boise State on Saturday. That marked a sharp turnaround after losing a fumble the week before on an attempted punt by Matt Hockett, leading to a South Alabama TD in Oklahoma State’s 55-13 win.